Who is Shining Stars for? 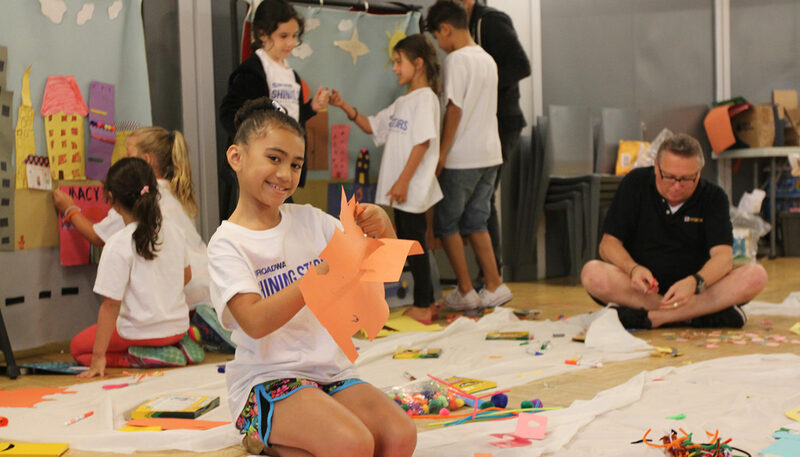 Shining Stars exists to start budding performers (children ages 7 to 9) on a lifelong path of theater and art appreciation through creative group play in a fun and supportive environment. 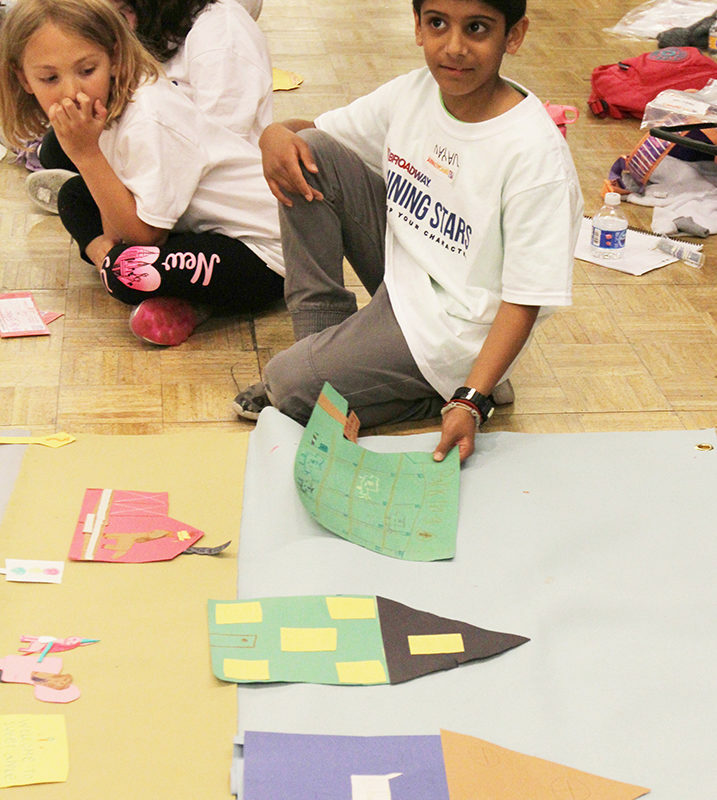 Throughout our week-long program (8:30 AM to 4:00 PM daily), Shining Stars will build not just stage sets, but confidence. 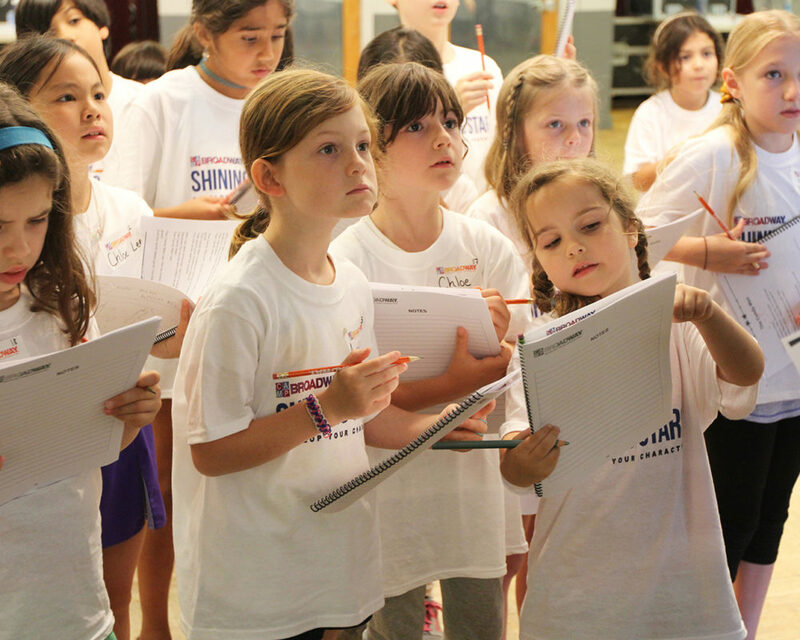 They learn not only how to sing, but how to collaborate. They’ll begin to understand what it means to be a great player as well as a great arts patron. Best of all, Shining Stars have their learning showcased in the Family Finale, the culminating performance of our week! Along their journey, your child will engage in activities aligned with our motto – Develop Your Character. Character means more than the role you play on stage; it’s also who we are off-stage. 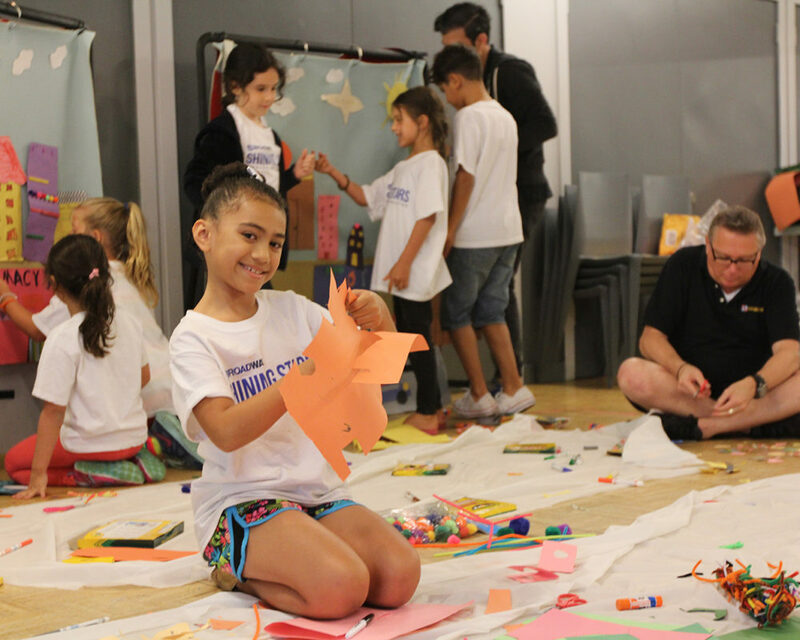 We believe that the theatre is the perfect vehicle for young children to learn and practice habits – such as attentiveness, responsibility and courtesy for others, that will serve them well as they grow both on and off-stage. We’d love to chat! Contact Jerri Anna Phenix at 212.575.3103 or jerrianna@campbroadway.com to find the program that’s just right for your theater-lover. 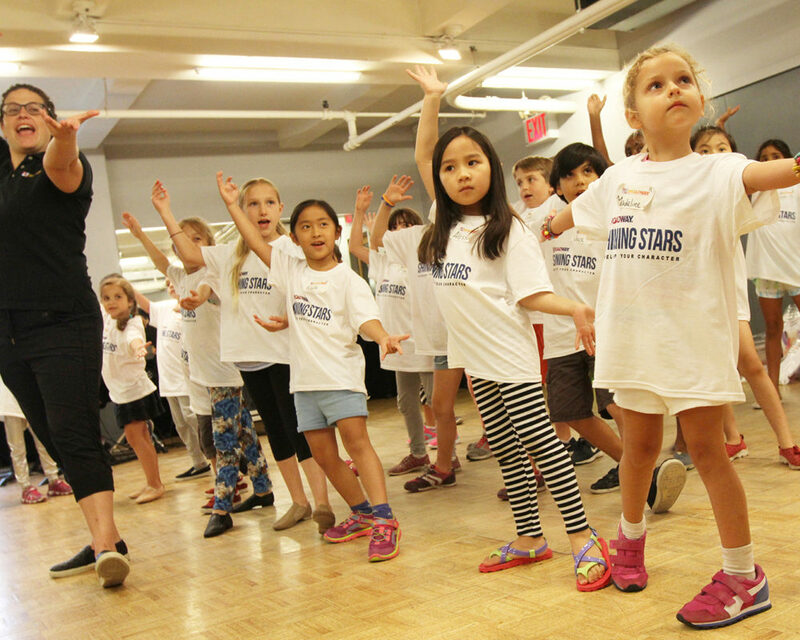 Why Shining Stars at Camp Broadway? 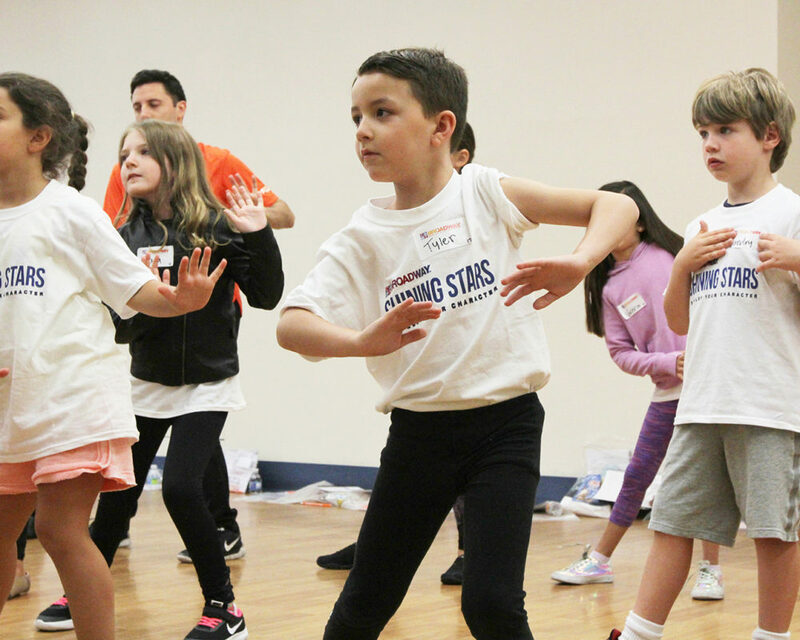 Being at the heart of Broadway isn’t just about a location (though we’re mighty proud to run our Shining Stars programs in the center of NYC!). The true heart of Broadway is as much about the process as it is about the outcome. We focus on The Ensemble – not individual stars. 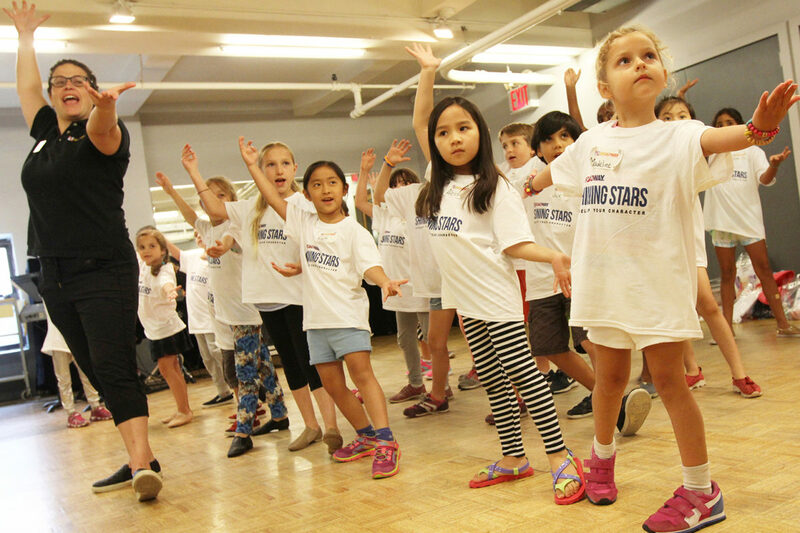 Not every child will take center-stage as a Broadway star, but every child can be a valued member of the performing arts community. 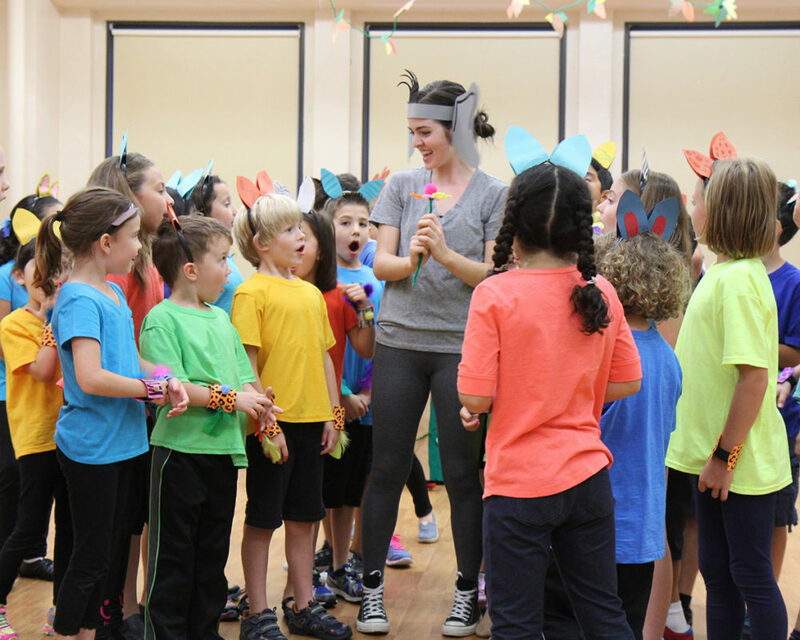 Whether your child specializes in costume design, choreography or stage production, they’ll learn to see the power of group play and cooperation as important ingredients in the recipe for success. We Develop Your Character – literally and figuratively! Just as the ensemble is important, so are the talents of every individual. 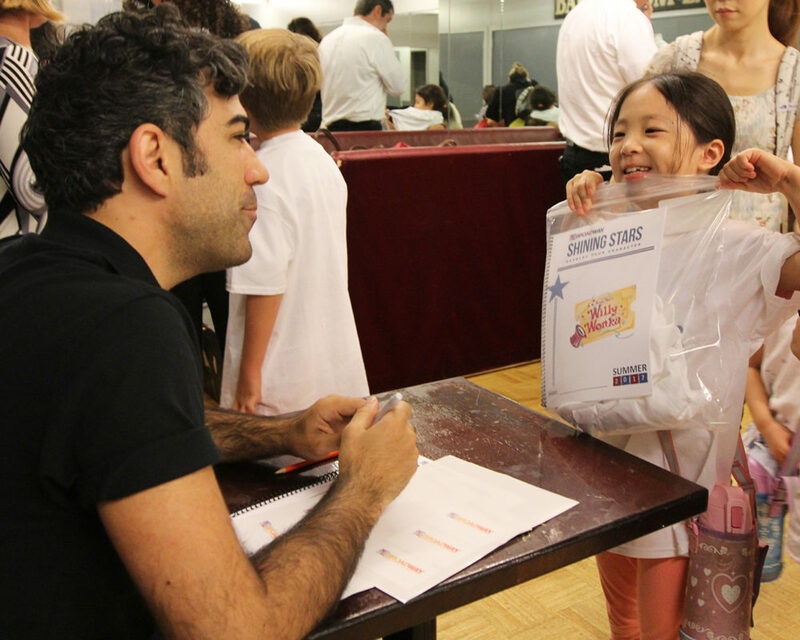 Through age-appropriate self-discovery activities, such as drawing a self-portrait, Shining Stars are encouraged to think about what makes them unique – and learn to appreciate the special talents and gifts only they can bring. Thanks to the support from many of Camp Broadway’s grateful parents and generous friends, the Broadway Education Alliance, a New York based 501.c3, has established Marya’s Gift, to provide financial assistance to deserving children, ages 7-13, who do not otherwise have the means to attend Camp Broadway. Learn more. My 7 year old Laila had a blast. I loved how at such a young age, the kids are exposed to all aspects needed to create a musical. Beyond acting, dancing, and singing Laila learned about elements related to script, set design and costumes. As a parent, I want to share how thankful we are to have Camp Broadway in Madeline’s and our lives…you truly make a difference and give us so many moments to remember! I honestly cannot express how wonderful it is to witness these kids committed and dedicated to their love for the arts. 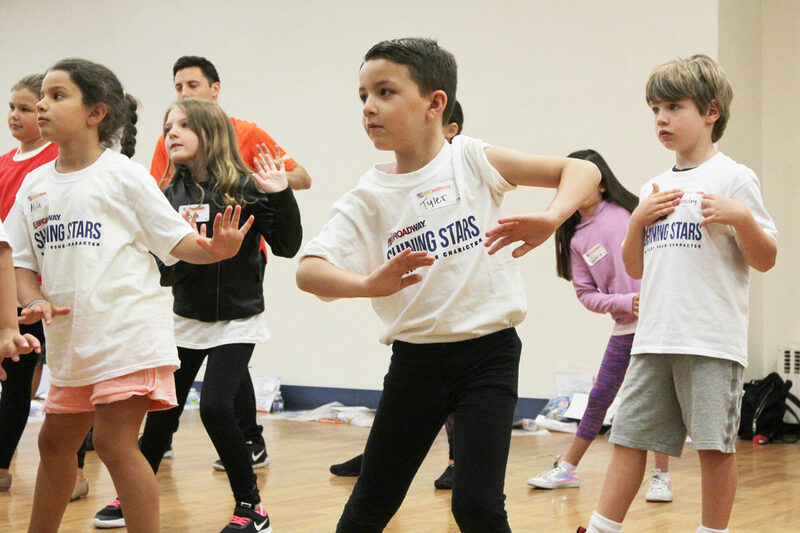 Camp Broadway deserves a standing ovation for its unparalleled dedication to developing and nurturing theater-loving kids! The opportunity to train with real Broadway professionals has given my daughter, Katie, a tremendous boost in her self-confidence- it has quite simply been a life-changing experience.